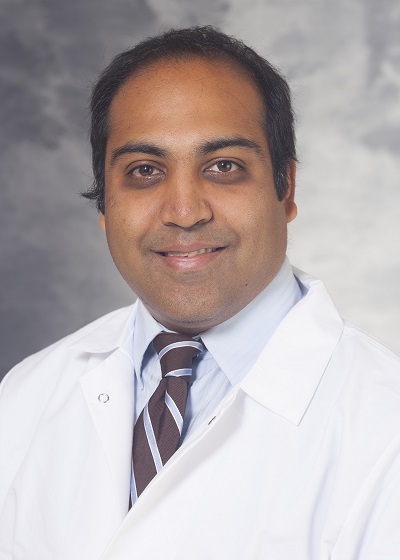 Ravi Patel is a Bentson Research Fellow in the Department of Human Oncology at the University of Wisconsin in Madison. He is originally from Scranton, Pennsylvania, and completed my undergraduate training Biomedical Engineering at Case Western Reserve University. After his undergraduate work, Dr. Patel remained at Case Western Reserve University where he joined the Medical Scientist Training Program and completed my PhD in Biomedical Engineering in the laboratory of Dr. Agata Exner. Following my medical school training, he completed a preliminary year internship in internal medicine at Akron General Medical Center and then completed my residency training in radiation oncology at the University Hospitals Cleveland Medical Center. Since residency, he has joined the labs of Dr. Zachary Morris and Professor Paul Sondel working on projects utilizing radiation therapy to enhance the efficacy of immunotherapeutic treatments. His current focus is on utilizing systemic targeted molecular radiotherapy to prime metastatic cancer at all sites with radiation therapy to enhance to efficacy of systemic checkpoint blockade in functionally “cold” or poor immunogenic tumor models. Since starting his research fellowship, his work has led to several honors including young investigator research grants from the American Society of Clinical Oncology and Radiological Society of North America and national meeting abstract travel awards to the 2018 Society of Immunotherapy in Cancer Annual Meeting and 2018 Radiation Research Society Annual Meeting.